Islamabad: The Multan-Sukkur Motorway will become operational by August, as 83% of the work has been completed – a news source reported. According to an official of the National Highway Authority (NHA), the construction work on a 392km roadbed has been completed. He added that the project will be concluded as per its communicated deadline. Construction work is underway on an asphalt pavement, while all the bridges have been built. The authorities concerned are also carrying out ancillary works. The Multan-Sukkur Motorway forms part of Peshawar-Karachi Motorway, which is popularly known as the ‘eastern route of CPEC’. The total length of the route is 1,152 kilometres. It begins in Karachi, passing through several major cities, and ends in Peshawar. 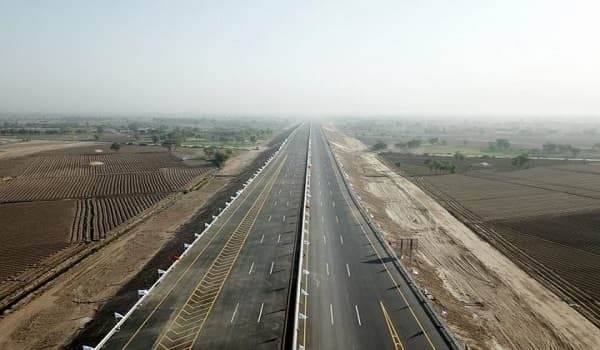 The two-way, six-lane Sukkur-Multan Motorway will begin in Multan and pass through Rahim Yar Khan, Sadiqabad, Pano Aqil, and other areas, to reach Sukkur. The Export-Import Bank of China is funding the project. The China State Construction Company Limited (CSCEC) is the chief contractor. Construction work on the project had commenced on August 5, 2016.